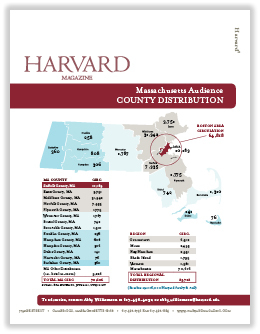 Harvard Magazine offers New England-based businesses the ability to reach nearly 80,000 Harvard alumni, faculty, and staff in the Greater-Boston area within a local editorial section, Harvard2 (Harvard Squared). 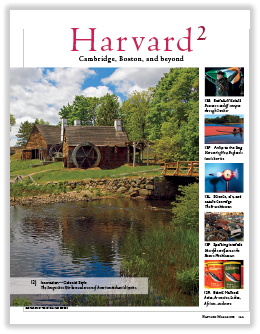 Harvard2 is a bimonthly guide to exploring the arts and culture, history, cuisine, and natural beauty of Cambridge, Boston, and beyond. 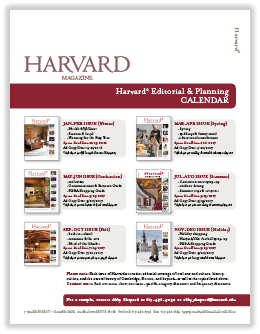 Local advertising partners gain visibility by sharing their message within this carefully curated lifestyle section that is written specifically for alumni living in New England. We create custom, targeted marketing packages to suit our advertising partners’ needs and budgets. 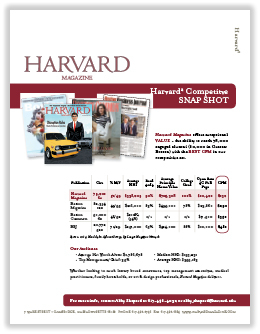 Print advertisers may also receive added-value incentives such as online ad placement and promotional e-mail space as part of their media packages. Click to learn more about our digital products. Local advertising partners include: Brigham and Women’s Hospital, The Charles Hotel, Canyon Ranch, Hammond Real Estate, BMW Gallery Group, McLean Hospital, The Langham Hotel, Coldwell Banker, Lux, Bond & Green, and more. Click here for a complete list of advertising partners.